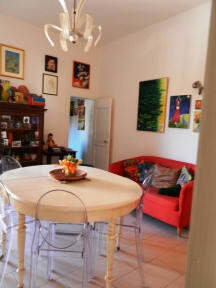 B&B Casa Aruna is in the historic centre of Pisa, near the Tower. Its a typical Tuscan 19th century building which maintained its original characteristics while being renovated, with a touch of modernism. 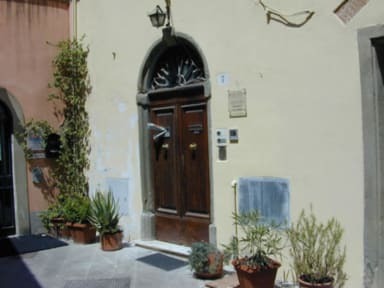 The B&B is the apartment of an artist, friendly and bright, its windows give view to the church Santa Apollonia (17th century), the tower bell of the church of the Cavalieri and the Leaning Tower of Pisa. All the rooms are silent and equipped with television and air-conditioning. In the morning an abundant and typical Tuscan breakfast is served. All rooms have got a private bathroom. If you travel by car, enter Pisa at Porta di San Zeno and park at Piazza Santa Caterina.